Fractures of the pediatric mandible present unique surgical and medicinal challenges, and therefore require multidisciplinary approach for their management. In addition, inadequately or incorrectly-treated fractures in growing children may lead to serious complications including asymmetric mandibular growth and temporo mandibular joint (TMJ) ankylosis. Controversies exist regarding the management of pediatric mandibular fractures and treatment modalities vary depending upon the competence, familiarity, concerns, and beliefs of the operator. Treatment options include observation with or without physiotherapy, conservative management using functional appliances, closed reduction techniques as well as open reduction, and internal fixation. Cases managed by observation and physiotherapy with or without the use of functional appliances, closed reduction, and/or maxillomandibular fixation (MMF) should be selected carefully. Achieving MMF is difficult in children during mixed dentition phase because of the small size and shape of the deciduous teeth which may hinder effective circumdental wiring. Noncompliance with the therapy and effects of MMF on the nutritional needs of child are also important considerations. Open reduction and internal fixation (ORIF) eliminates the need for MMF, which directly improves the control over airway, maintenance of oral hygiene, and better nutritional support. We present a series of 10 cases of displaced pediatric mandibular fractures managed with ORIF using metallic implants without MMF. 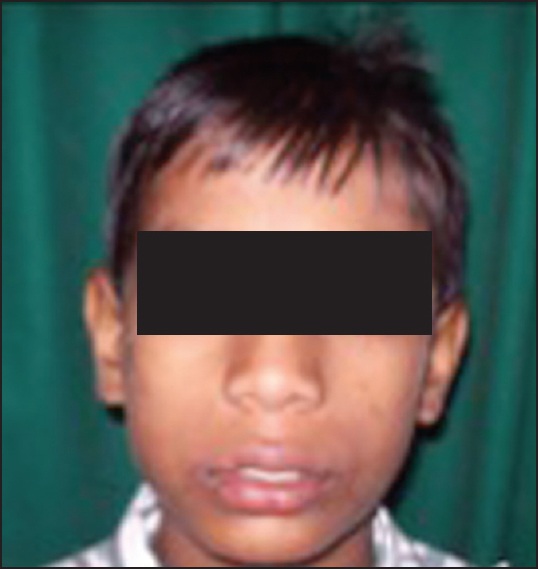 Ten patients aged between 4 and 12 years (mean age 7.6 years) reported to Department of Oral and Maxillofacial Surgery from 1 st January 2010 to 30 th September 2012 with displaced mandibular fractures were included in the present series. All patients were treated by ORIF using titanium four-holeminiplates (1.5 mm; SK Surgicals, Pune, India) and screws (4 mm length and 1.5 mm diameter; SK Surgicals, Pune, India). Preoperative evaluation included a thorough clinical evaluation, laboratory investigations, suitable radiographic imaging (posteroanterior (PA) mandible/orthopantamograph/facial computed tomography (CT)) for evaluation of head injury and facial fractures. Following assessment and fitness approval from pediatrician and anesthesiologist, surgery was undertaken under general anesthesia with nasal intubation. Intraoperative MMF was performed using direct interdental wiring. All fracture sites were approached using intraoral incisions except when an extraoral wound was present. All fracture sites were reduced manually and fixed with 1.5 mm titanium plates and screws. Closure was done using 3-0 Vicryl for intraoral/mucosal closure. Extraoral closure was done using 3-0 Vicryl for deeper layers and 5-0 Ethilon for skin closure. All sutures were removed on 5 th day. The titanium plates and screws were removed within 4 months after surgery. Bone healing was assessed using clinical parameters like bone fragment mobility and occlusion. Stability of fixation was assessed postoperatively with extraoral radiographs (PA mandible and orthopantomogram). A 5-year-old boy was admitted with a history of road traffic accident [Figure 1]. There was intraoral bleeding with noted mobility of fragment in left parasymphysis region between lower left lateral incisor and canine (72-73). CT showed left parasymphysis and right mandibular body displaced fracture [Figure 2]. The patient was operated under general anesthesia using nasal intubation. Left parasymphyseal fracture was explored through an existing extraoral contused lacerated wound (CLW), which was cleaned. 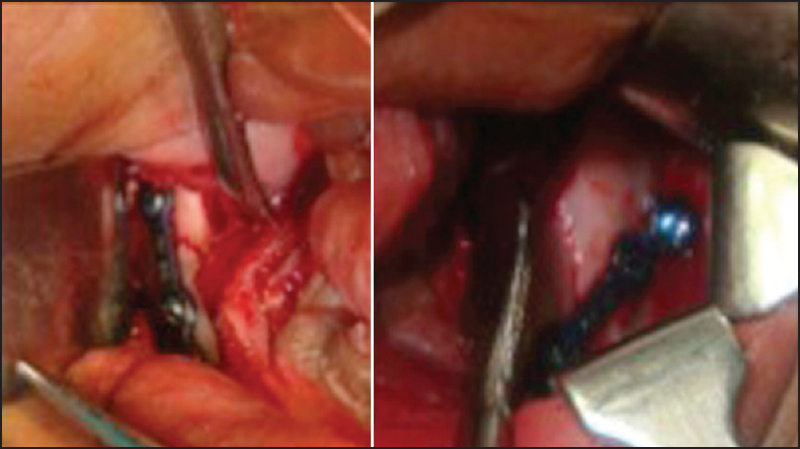 A right mandibular intraoral vestibular incision was taken to expose the fracture site. The fractured segments were adequately exposed and reduced. A single four-hole 1.5 mm titanium miniplate with gap and compatible titanium screws (1.5 mm × 4 mm) were used for fixation of fractures at each site [Figure 3]. Suturing was done in layers using 3-0 resorbable suture (Vicryl) and 5-0 Ethilon for skin. Antibiotics and analgesics were prescribed as per pediatricians' consultation. The recovery was uneventful [Figure 4]. Clinical bony union was evident in 3 weeks. A secondary surgery for implant removal was performed 3 months later. An 11-year-old boy reported with a history of a dashboard injury [Figure 5]. No history of loss of consciousness, vomiting, seizures, and bleeding was obtained. CT revealed displaced bilateral body fractures of the mandible [Figure 6]. 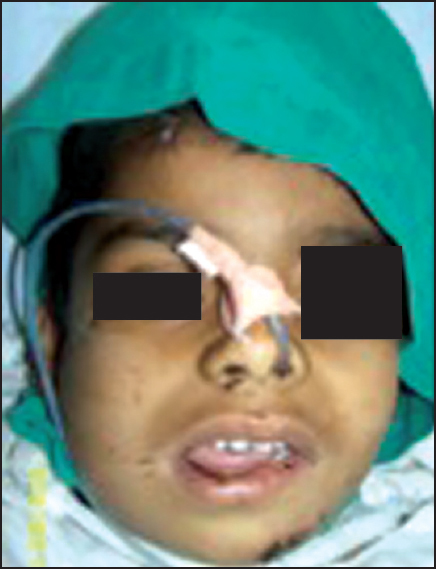 The patient was operated under general anesthesia using right nasal intubation. Right and left mandibular vestibular incisions were made. Care was taken to prevent injury to the mental nerve. The fracture sites were explored, reduced, and fixed using a single titanium miniplate (1.5 mm, four holes with gap) and four compatible titanium screws (1.5 mm × 4 mm) per site [Figure 7]. Suturing was done with 3-0 resorbable sutures (Vicryl). The patient was reoperated for titanium hardware removal 3 months later [Figure 8]. 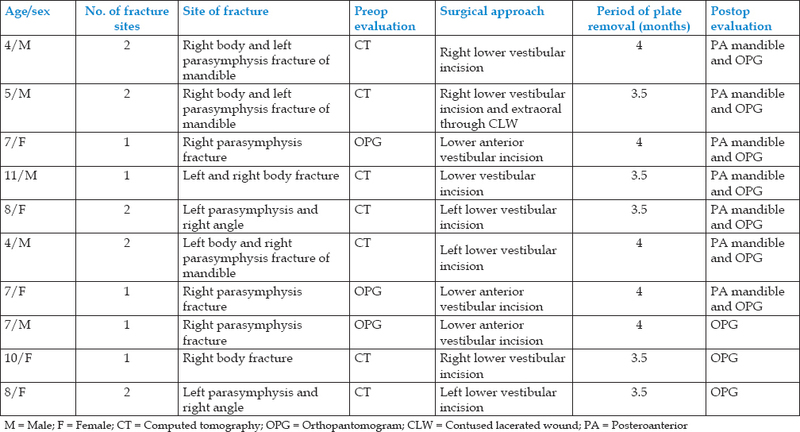 All the other cases in the series were treated using the same protocol [Table 1]. 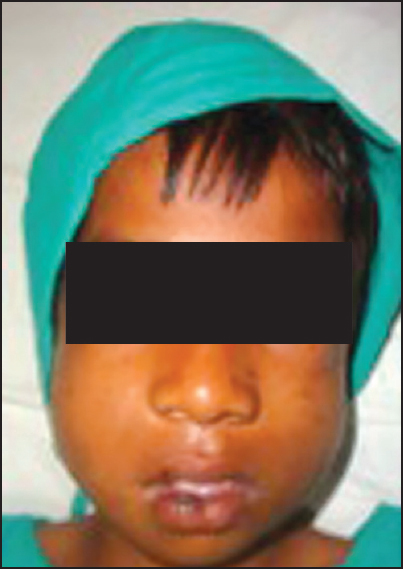 Ten patients with mean age of 7.6 years, five male and five female with pediatric mandible fractures were treated with ORIF. A total of 15 fracture sites with six bilateral fractures consisting of eight parasymphyseal, five body, and two angle fractures were treated. Fixation in all the cases was done using 1.5 mm titanium miniplates and 1.5 mm diameter × 4 mm length titanium screws. Plate removal in all the patients was done within 4 months. All cases showed satisfactory bone healing without any growth disturbance. There was no surgical site infection seen in any of the cases. Postoperative occlusion was stable and satisfactory. All plates and screws were removed within 4 months from the date of primary surgery, after thorough clinical assessment of lack of mobility at the operated fracture site [Table 1]. Facial fractures in children occur less frequently than in adults and they are more often minimally displaced. This is because a thicker layer of adipose tissue covers the more elastic pediatric bones. In addition, suture lines in pediatric patients are supple and not completely fused. The presence of tooth buds within the jaws and lack of sinus pneumatization provide better stability to the bone. ,, Larger size of cranium as compared to face (8:1) makes mandible less susceptible to injury. It has also been noted that children in the deciduous and mixed dentition stages demonstrate some capacity for spontaneous occlusal readjustment after injury and treatment as deciduous teeth are shed and permanent teeth erupt. Undisplaced mandibular fractures can be treated with close observation, soft-liquid diet with analgesic support for pain management. Although certain displaced mandibular fractures may be treated using closed reduction protocols, ORIF provides superior reduction and a relatively safe and comfortable healing phase for the child. In view of the increasing number of mandibular fractures due to road traffic accidents and those particularly associated with dashboard injury, it would be worthy to mandate the use of seat belts and safety seats in vehicles for infants and children to reduce the incidence of pediatric maxillofacial trauma. Open reduction and semirigid internal fixation with titanium miniplates is a reliable and safe method in treatment of displaced fractures of the pediatric mandible. No major complications were observed in this study with a satisfactory follow up ranging from 1.5 to 4 years. Long-term studies are however further required to assess growth and development of facial skeleton after ORIF. Morris C, Kushner GM, Tiwana PS. Facial skeletal trauma in the growing patient. Oral Maxillofac Surg Clin North Am 2012;24:351-64. Dodson TB. Condyle and ramus-condyle unit fractures in growing patients: Management and outcomes. Oral Maxillofac Surg Clin North Am 2005;17:447-53. Posnick JC. Craniomaxillofacial fractures in children. Oral Maxillofac Surg Clin North Am 1994;1:169. Zimmermann CE, Troulis MJ, Kaban LB. Pediatric facial fractures: Recent advances in prevention, diagnosis and management. Int J Oral Maxillofac Surg 2006;35:2-13. Maniglia AJ, Kline SN. Maxillofacial trauma in the pediatric age group. Otolaryngol Clin North Am 1983;16:717-30. 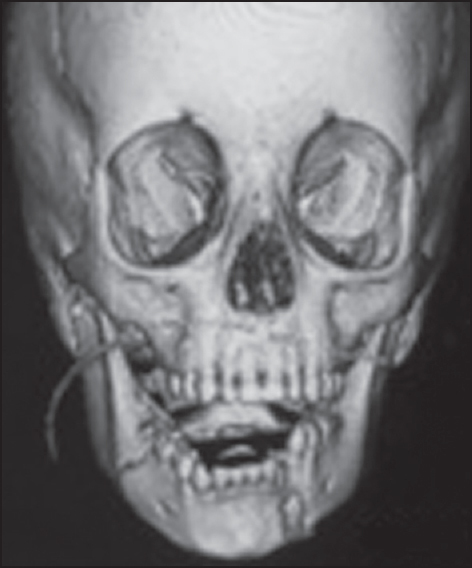 Yarington CT Jr. Maxillofacial trauma in children. Otolaryngol Clin North Am 1977;10:25-32. Posnick JC, Wells M, Pron GE. Pediatric facial fractures: Evolving patterns of treatment. J Oral Maxillofac Surg 1993;51:836-44. Graham GG, Peltier JR. The management of mandibular fractures in children. J Oral Surg Anesth Hosp Dent Serv 1960;18:416-23. Rowe NL. Fractures of the jaws in children. J Oral Surg 1969;27:497-507. Becelli R, Renzi G, Frati R, Iannetti G. Maxillofacial fractures in children. Minerva Pediatr 1998;50:121-6. Berryhill WE, Rimell FL, Ness J, Marentette L, Haines SJ. 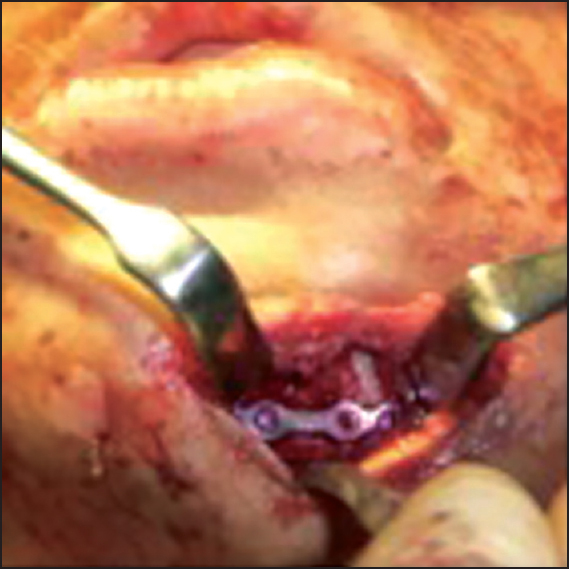 Fate of rigid fixation in pediatric craniofacial surgery. Otolaryngol Head Neck Surg 1999;121:269-73. Costantino P, Wolpoe ME. 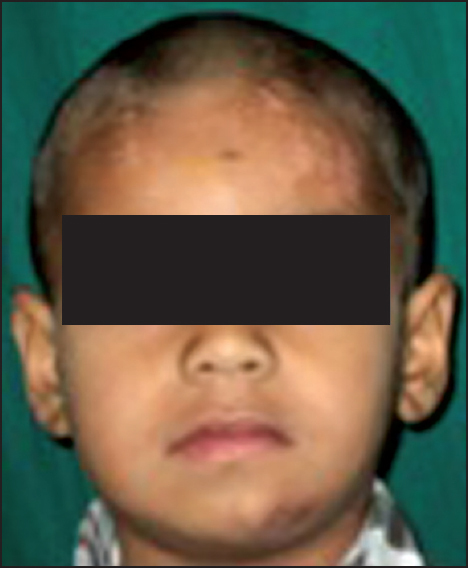 Short and long-term outcome of facial plating following trauma in the pediatric population. Facial Plast Surg 1999;7:231-42. 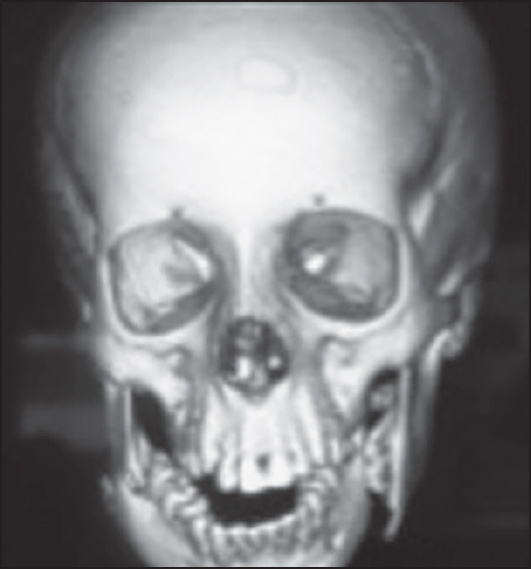 Haug RH, Foss J. Maxillofacial injuries in the pediatric patient. Oral Surg Oral Med Oral Pathol Oral Radiol Endod 2000;90:126-34. Kaban LB. Diagnosis and treatment of fractures of the facial bones in children. J Oral Maxillofac Surg 1993;51:722-9. Mulliken JB, Kaban LB, Murray JE. Management of facial fractures in children. Clin Plastic Surg 1977;4:491-502. Dahlstrom L, Kahnberg KE, Lindahl L. 15 years follow-up on condylar fractures. Int J Oral Maxillofac Surg 1989;18:18-23.